When I find a new food blog that grabs my attention, the first thing I do is look at the Breakfast recipe index. I love seeing people’s breakfast creations! Really, breakfast food is my favorite. It’s also my favorite meal to eat out. So, funny that my breakfast page has fewer recipes than any other category on my blog! Maybe this shows that I need inspiration in that area, and that’s why I am always looking at other people’s ideas? Or maybe it’s because I am actually quite boring when it comes to breakfast. To work, I take a greek yogurt and a container for dried fruit, nuts, coconut, or fresh fruit to mix in. Maybe a grapefruit if I’m really getting crazy. If I have breakfast cookies in the freezer, I like to grab a few of those, too. (BAAH! Who am I kidding? Breakfast cookies, or any other cookie of the non-breakfast variety of will do). When I get “fancy” on the weekends, I put EXTRA toppings in my yogurt. But my very favorite breakfast is a green smoothie. Energizing, and a great way to work those veggies in early. And… honorable mention, because it would be more popular if I had known a thing about food photography back when I posted it– the Chiang Mai Frozen Banana Coffee (<– plus, this is a great “newbie” green smoothie because it’s NOT green, but has a green vegetable in it- undetectable!). It’s fun to come up with smoothie recipes, but I’ll tell you– recipes are not what are actually made on a normal basis in my kitchen! I try to keep a variety of fruit and vegetables frozen (my favs are grapefruit, bananas, spinach and zucchini — and pumpkin puree, but I don’t freeze that), but let’s face it– I live in the tropics, where bugs and humidity ruin food, so half the “dry” goods I buy are stored in my freezer. Freezer space is at a premium! 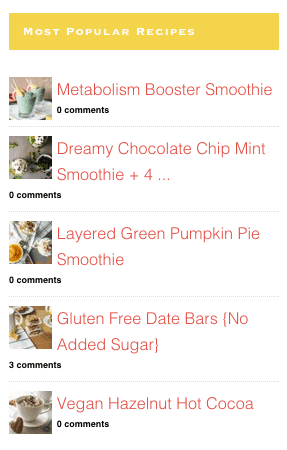 My smoothies are a mix of whatever’s on hand– and the ones that turn out really good are the ones that end up on here! 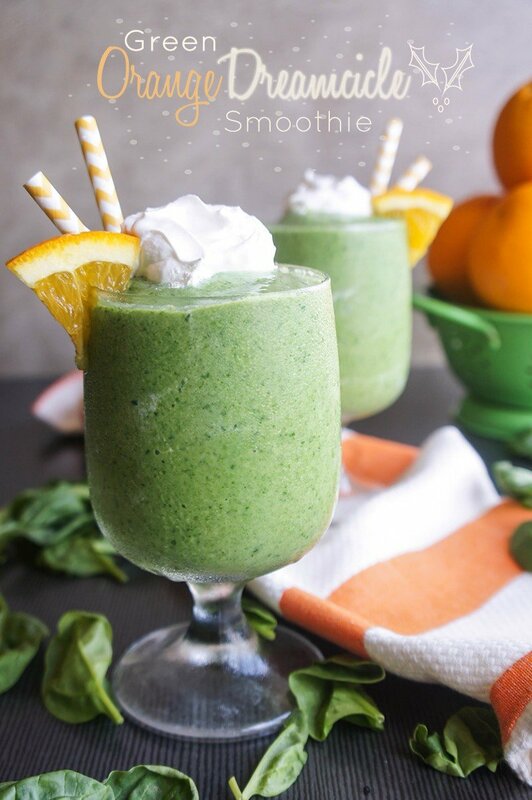 A creamy, dreamy green smoothie, with the flavors of those amazing orange creamcicle pops we all loved as kids. Breakfast is better with greens! 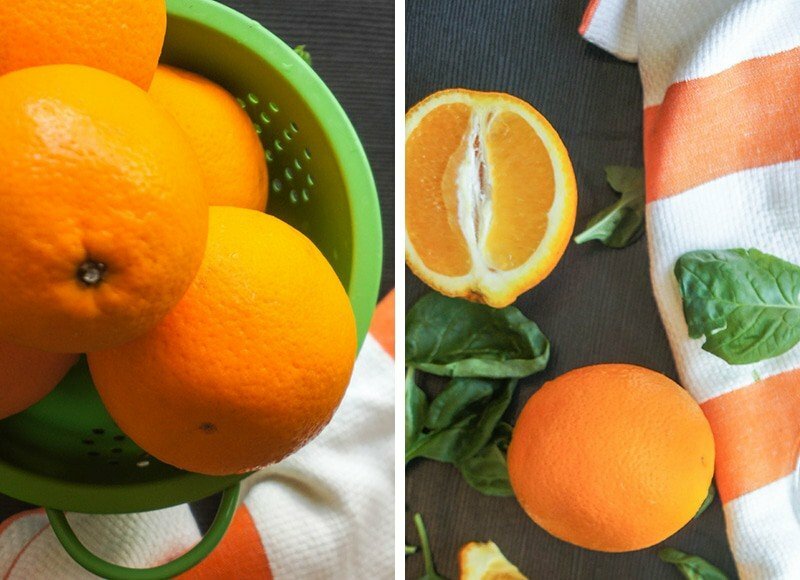 My favorite way to make these is with really sweet mandarins. I make them with navel oranges, but find adding ¼ frozen banana helps to sweeten it up when I use those. Add the coconut milk, water, and yogurt first, then add the rest of the smoothie ingredients. Blend very well, until all the greens are fully incorporated. Garnish with coconut whipped cream and orange slices. Does anyone have any breakfast inspiration to share with me? YES! I'm so glad to have connected with you- Everyone in our 'community' is posting stews, soups etc and we are sweltering over here! I love stalking people's recipe archives! For me, I think I need to cut back on breakfast recipes- I literally think I have 5 types of breakfast cookies...oops!These look delicious and again, hit the nail with the photos! Your breakfast recipes all sound awesome! I've been through many on your site :) I need to actually make some when I'm home on Christmas break this December! That's a whole-lot of immune boosting goodness! Thank you Meredith -- they are a favorite. I appreciate you sharing! Your Green Love Pinterest board is huge!! I just pinned a couple that look delicious. I'm a smoothie fan when it's hot and when I was in Grenada, though they usually weren't green smoothies. I've discovered I really like avocado in smoothies. Anyway, I was anticipating a smoothie orange in color with this one! It's kind of fun to see one color and taste another. I had thought of making this one orange-- but the greens add so much nutrition I have a hard time not putting them in! Great bulk so I can drink a bigger smoothie, too :) Yes-- I know everyone is on to hot drinks and soups (I'm sneaking them in too), but it's over 90 degrees here! I need smoothies. Looks yummy and delicious. 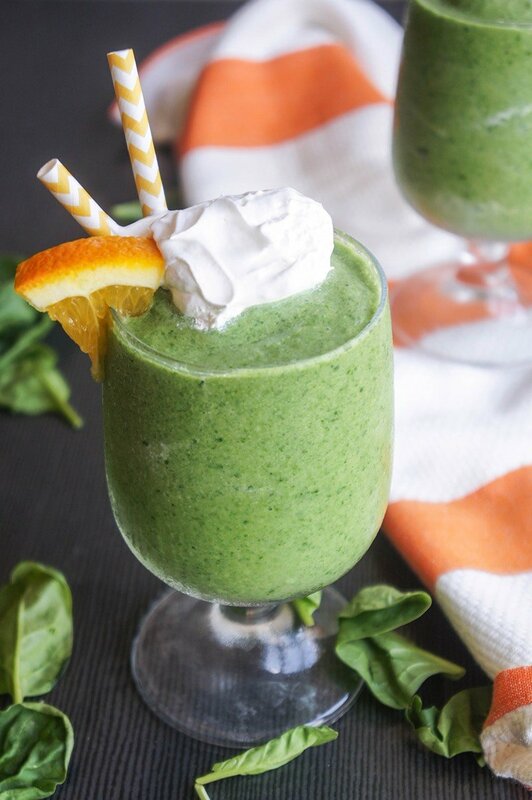 These green smoothie shakes looks absolutely gorgeous and healthy. I never thought that green tea and green yogurt go hand-in-hand in making a perfect health drink. Need to try making this for my hubby. For past few days, he has been nagging me to prepare for him a delicious health drink, and I am going to try this today as soon as I get hold of the ingredients. 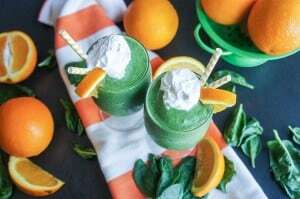 Really this would be special and great orange Dreamcicle green smoothie recipe that helps to detox your body! Sure breakfast is better with greens! Thanks for sharing, Michelle! Great Anna! Hope you enjoy. 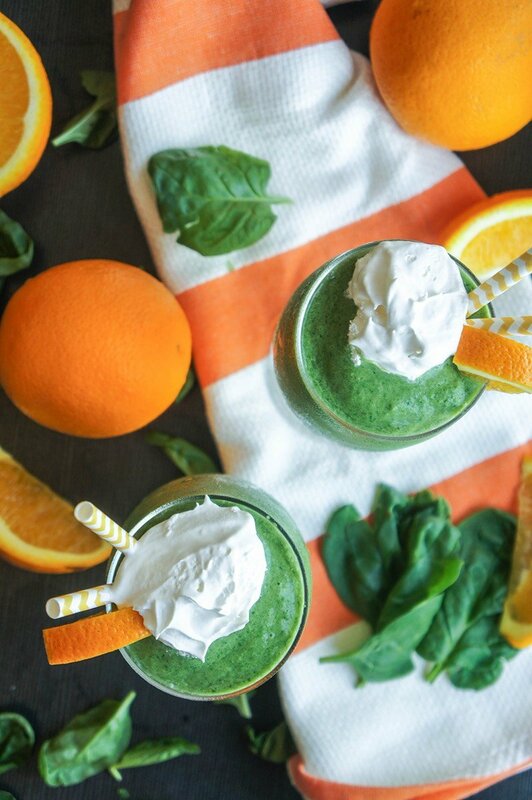 We love smoothies for all different reasons, and fighting off the flu is one! Hi, Michelle That's looking so good, especially the orange and spinach. They're my most favorite smoothie ingredients. I also love both coconut milk and almond milk. Thanks for putting it together.